Fire and water don’t mix. Everyone knows that. 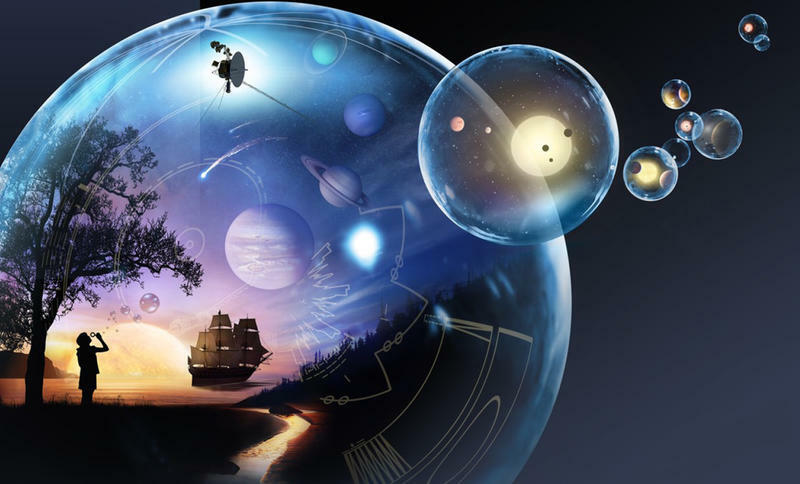 But there is a mysterious and magical place in western New York State where the laws of nature don’t apply and visitors can see a small flame burning brightly in a waterfall. 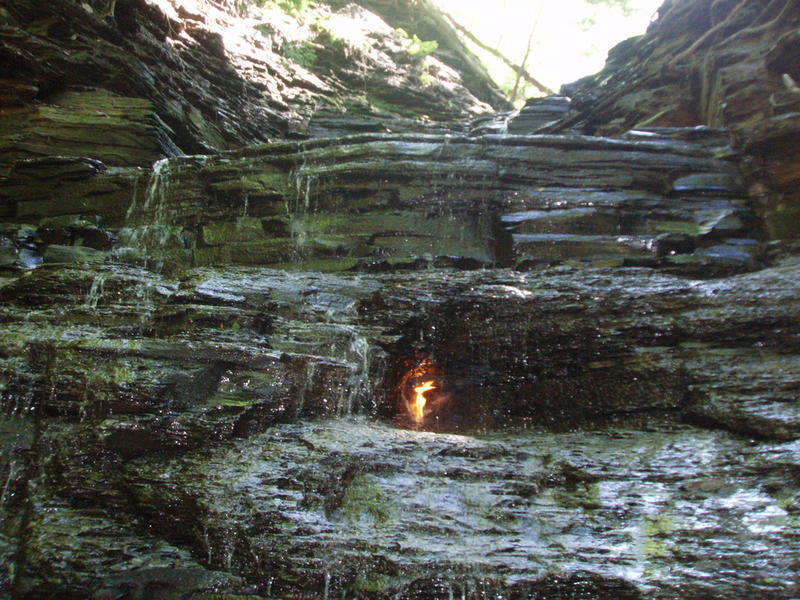 Eternal Flame Falls, in Shale Creek Preserve, continues to baffle geologists with its continuous flame. The waterfall itself, part of Chestnut Ridge Park, is not particularly impressive. It is made of stratified shale with numerous ledges and little outcroppings, over which the water cascades. At the base of the waterfall, however, there is a small grotto. 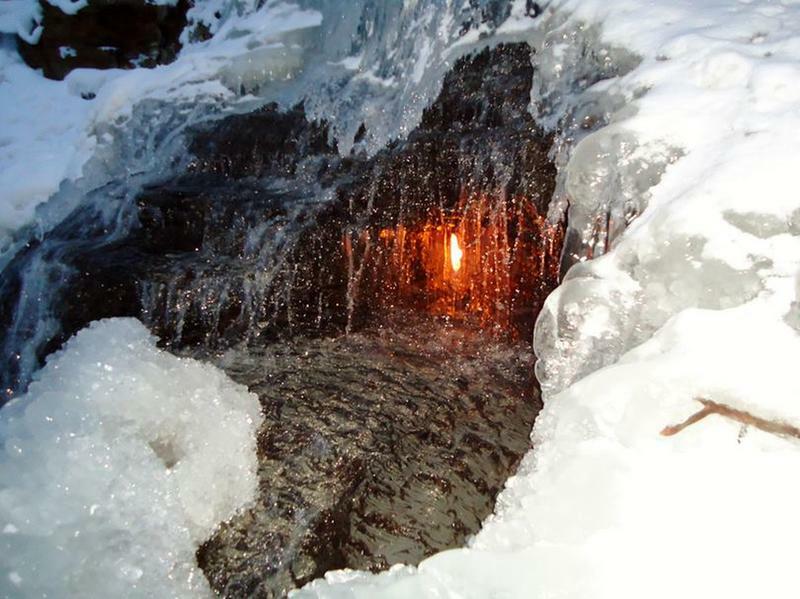 Natural gas seeps through a fissure in the rock, fueling the eternal flame, which shines brightly through the water. According to local legends, a Native American lit the flame long ago and it has burned ever since. That is not entirely true. Occasionally the flame is extinguished and needs to be re-lit with the simple flick of a lighter. Instead of being a true eternal flame, it is actually an eternal gas leak. There are other eternal flames around the world, so scientists have long assumed that the fire at Eternal Flame Falls was the result of the same process. In the other eternal flames, the temperature of the rock beneath the flame is hot…at or exceeding the boiling point of water. The heat breaks down the carbon molecules in the shale rock, releasing natural gas. But at Eternal Flame Falls, the rock beneath the flame is much cooler…no where near boiling temperature. Still, the gas is being released from the shale rock. Geologists studying the waterfall have discovered a number of properties that make Eternal Flame Falls a truly unique spot and a one-of-a-kind place on Earth. First, they learned that the gas seeping from Eternal Flame Falls has a much higher concentration of ethane and propane than any other eternal flame spots across the planet. They also discovered several other, much tinier, gas leaks in the area surrounding the waterfall. They theorize that the gas is coming from 1,300 feet below the surface and seeping up through cracks in the shale rock. They believe that the process witnessed at Eternal Flame Falls is the result of a previously undiscovered geologic process that is caused by natural gas produced within shale rock. Geologists are extremely interested in the natural processes at work at Eternal Flame Falls. They believe that if they can determine how the gas is released from the shale at cooler temperatures, it will help them to uncover ways to extract natural gas from the rock in a safe and non-invasive way. 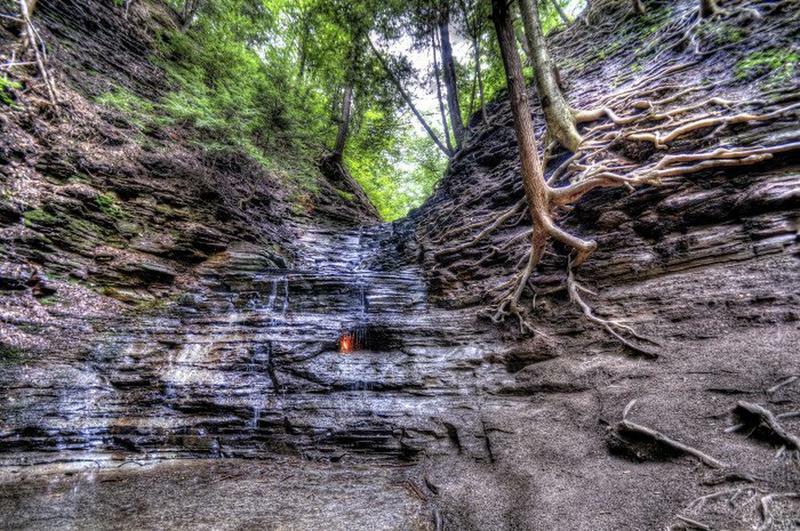 For decades, Eternal Flame Falls was a hidden gem that only the local residents knew about. Thanks to Instagram posts, more and more people are learning about this unique and mysterious spot. 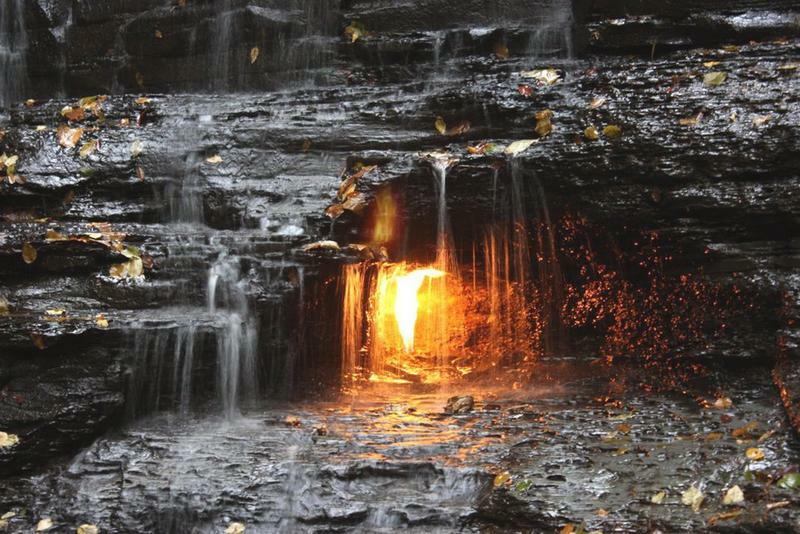 Visitors to the magical spots are increasing as hikers trek the wooded paths of western New York State to get a glimpse of the eternal flame in the waterfall.